Root Ally Super Battery Charger!! Discussion in 'Android Devices' started by swc2001, Nov 8, 2010. 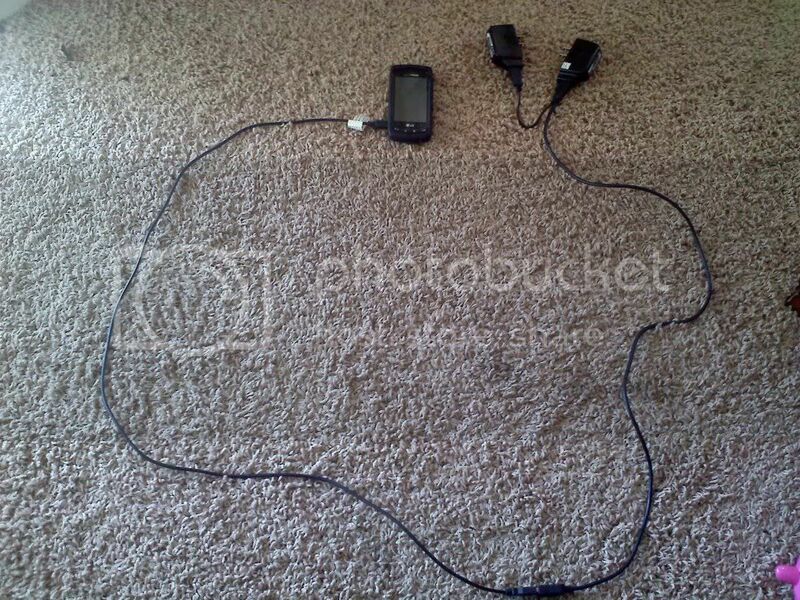 Well I thought I would share an interesting way to charge your Ally phone. 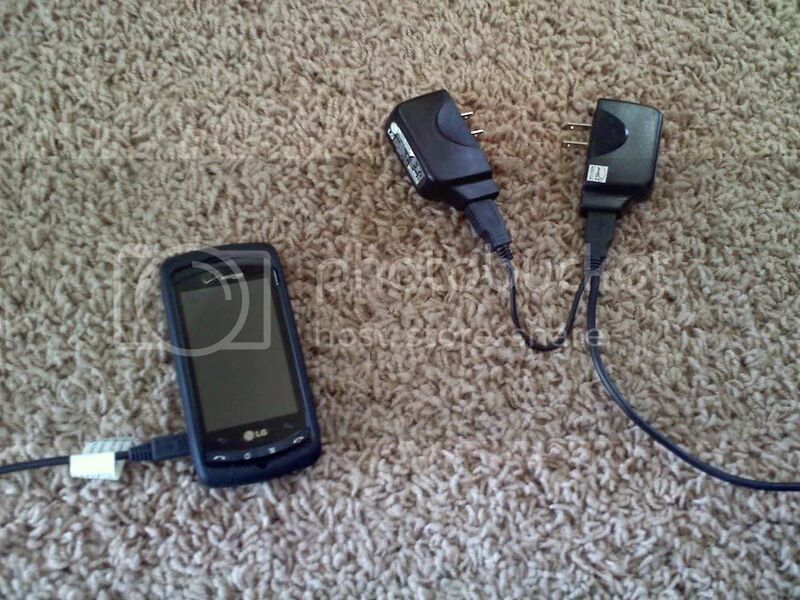 This is what I use to charge my Ally when I am playing Pandora or other Battery draining apps. If you have ever charged your phone while playing Pandora then you know your battery actually holds fairly steady, but does have a slow drain. Well with my super charge system it actually gains charge at a very respectable rate. Also if you just want to charge your phone really fast this charges it almost twice as fast. It is very similar to those charging stations in the Airport that can charge your phone in 20 minutes for $5.00 bucks. all you have to have is the cable that allows you to hook into two USB ports and have two wall units for the the Ally. And there you go your own homade Ally Super Battery Charger. Interesting.....I like this idea. I've noticed that when using my phone with barnacle, it slowly depletes the battery-even when plugged into a charger. This should fix that problem. WARNING: This will degrade your battery. Everyone wants to charge up faster, but the faster you charge, the more you strain the battery, and the less it's able to hold a charge. This is something you'll really notice in about 1 year. Your battery will last about half as long as it does now. That's why this charge method is not what ships with the phone and is only available as a "quick-charge" option at airports - its a once-in-a-while thing to do when you're in a hurry and need power. I actually charge my phone nightly from my computer because that gives it about 500mA instead of the 1A that comes out of the wall charger. Well, even so-with the cost of genuine replacement batteries being only $15 or so-I can deal with replacing it yearly. I sometimes get into a long session running barnacle, and this method should help keep me from depleting the battery while plugged into the charger. Everything you do will degrade battery life. Luckly they are cheap. Might give this a try when using barnacle. When your battery explodes/erupts into flames don't say you didn't know any better. Yes I should have used Barnacle as my example it deffinately depletes the battery faster than any other app that I use. I appreciate the concern for safety that has been expressed in this thread so far. It shows good judgement. I do happen to know that this will not harm your phone. As far as early battery replacement I dont have the statistics on that, but as pointed out batteries are cheap. Time and useability of a device can be priceless. I personally believe the gain greatly out weighs the "risk" of battery life degredation. But thats my oppinion and oppinions are like bellybuttons.... Everyones got one. That said this is a *great* hack, made me laugh. 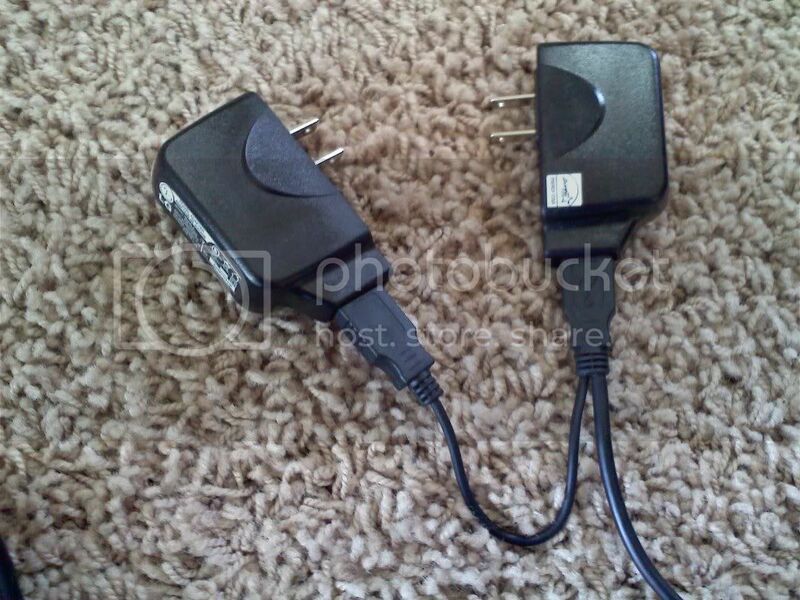 your right but i use my gf's droid charger and my logitech harmony remote's charger cuz its a bit faster... 2 chargers at the same time..... well......... all i can say is that method of charging is "that beats stripping the leads off an appliance and hooking that up to your phone.... Even though it could charge faster lol..."
I've replicated your charger and can confirm it delivers as promised. However, now that I have it I'm not sure that the assertion that it's needed is correct EXCEPT IN THE CASE OF CHARGING VIA "real" USB. I'm on stock ZVC rom, rooted with bloatware removed and don't use a task-killer. I generally disable any battery-sucking services. I also use a high-cap battery. For my testing, I tried to create the most adverse conditions possible to generate a battery draining "charge" without using the super-charger. I've found that I CANNOT make it so the battery slowly drains under ANY circumstances while using the AC->USB charger. However, if I use a direct USB connection to a computer, I duplicate your results. I can be tethering, playing pandora, angry birds, and have all of the aforementioned battery-sucking services ENABLED (I'm not going to put the bloatware back on to test that though...) and my phone still slowly charges with AC->USB rather than draining. Please note, I've tried this after I've had 24hrs+ uptime on the phone, so it's not in a recently rebooted "clean" state even. I've not tested empirically, but based on this observation I believe that you can safely super-charge via "real" USB. But not via AC->USB. Using the super-charger on "real" USB I get similar results as using a single AC->USB charger. Using the super-charger will be useful if you primarily charge from a computer, or in the rare case where you feel you need to charge your battery as quickly as possible (using 2 AC->USB chargers) and don't care about any long-term damage. Just remember, that its possible that this will reduce your overall battery life. I haven't tried this, but my battery is about to kick the bucket. When I take it off charge, it starts at 94% and its getting worse because I have mine on the charger all the time. Well I suppose it could. However after 6 months of use I have noticed no discernable battery loss. Lol. My favorite is the laptops that burnt up from the batteries overheating. Oh well, batteries are cheap on Ebay etc. now.